As Alaskans we spend a great deal of time in our vehicles exploring this beautiful state. Traveling to our favorite fishing and hunting spots takes a toll on our truck’s exterior and interior, making it difficult to keep clean. On average, Alaskans keep their vehicles twice as long as those living in the lower 48 and maintaining them is a priority. Car Deets is excited to provide products and Services that make your vehicle look better longer. Today, Car Deets is exceeding that passion and servicing clients all over the state of Alaska, including Anchorage, Palmer, and Fairbanks. Two major categories, exterior and interior. We offer premium service and products for both of these areas of service. Services include exterior wash, paint correction and paint protection. The wheels and calipers of the vehicle can also be cleaned and protected. Interior services include deep cleaning and protection of mats, carpets, dash and head liner. Odor removal and Stain removal can also be performed during an interior detailing. 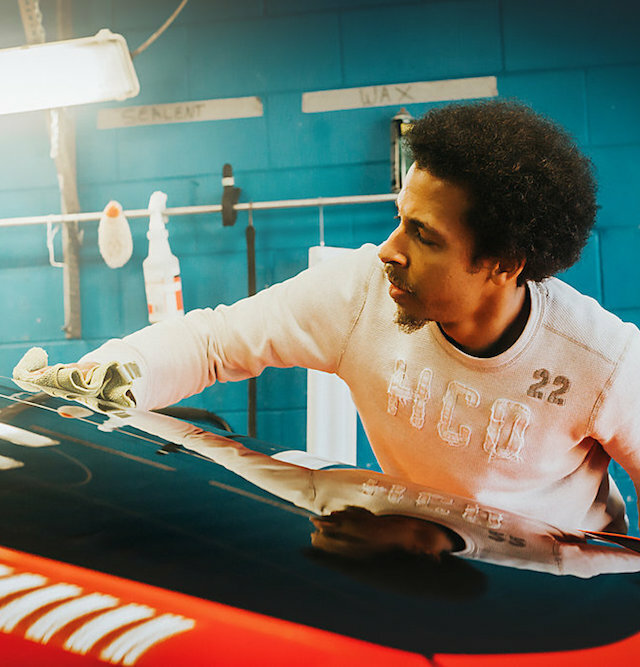 Advanced paint protection to protect your vehicle’s exterior and keep it looking new. Contact us for an amazing detailing experience with our shop and be a part of the Car Deets family. "Alaska’s a very diverse state and is geographically extreme. Our cars become rolling dirt clouds and it is even worse on the inside. At Car Deets we get your rig back into the condition you deserve!" Car Deets is proud to be the first and only certified Ceramic Pro shop in the state of Alaska. We obtained this because we know what Alaskans want. Simply put, Alaskans want to drive nice cars regardless of harsh conditions. Ceramic Pro offers packages everyone. From those wanting a deep, resilient shine, to those simply looking for an easy way to clean their rig. Ceramic Pro provides top of the line paint protection, keeps your vehicle looking sharp and makes cleaning a breeze.